Dave Thomas founded Wendy’s, named after his daughter, at 257 E. Broad Street Columbus, Ohio on November 15, 1969. The fast food chain rapidly grew to become the third largest fast food restaurant in the world. 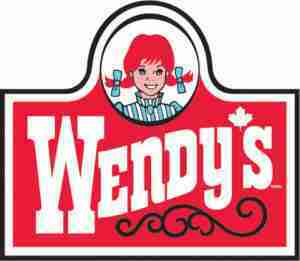 The first Canadian Wendy’s restaurant opened in Hamilton, ON in September, 1975. Twenty years later, in 1995, Wendy’s merged with the Canadian coffee and baked goods restaurant chain, Tim Hortons. Wendy’s primary products include square hamburgers, chicken sandwiches, French fries and beverages, plus their signature offering, the Frosty, which is a soft serve frozen dairy dessert. Several other products such as the famous Baconator, chili, nachos and fresh salads are now also available. Wendy’s restaurants are located all over the country, from one end to the other. The easiest way to file a complaint, ask a question or get an answer to your question is to ask at your local Wendy’s. You can speak with any of the workers or ask for the manager. There are also several ways to find help online. The Wendy’s homepage has a mountain of information about the company, the products and great food deals. If you can’t find what you are looking for, check out the contact page for even more info. Good or bad, Wendy’s is always glad to hear from you, so leave a comment about your experience. Don’t like the menu combos? You can easily build your own meal with all of your favorites and all the nutrition you need for a healthy meal. Some locations allow you to order your meal online or on your phone so there is no waiting in line when you arrive. To find out what special services are available where, use the handy find a location. Wendy’s Canadian headquarters is located at 5515 North Service Road, Suite 201, Burlington, Ontario, Canada L7L 6G4, call (905) 331-0341. Follow Wendy’s on Twitter and Facebook for great deals and special offers. Feast your eyes on a bacon masterpiece or watch the exciting adventures of the Baconator on YouTube. Watch the Baconator job interview or follow him on his first date. After a few mouth-watering videos, you’ll be ready to run out and grab a Wendy’s burger of your own. Submit your review of the Wendy’s customers care service. Your e-mail address will not be published. All fields marked with * are mandatory. Harmony taunton at the busiest times no matter when always has 1 cash open ALL THE TIME. When leaving Tim’s which is connected I wanted to take out a bake potatoe for same night. Line up again was lengthy only due to 1 ONE cash open which I then opted to go thru drive thru which is always faster. Potato looked like it was dropped l, not very hot and in fact tasted gritty. Very disappointed to say the least. Glad u didn’t decide to get 3 for company coming. Also that u can recollect was there ever a clean table to sit at. Busy or not. It’s the only thing I had but did get a diet coke free bc of ur senior deal. My granddaughter, Aria, and I had a very nice experience at Wendy’s and I wanted to share it with you. Yesterday I was looking after Aria, who is 3, and I asked her if she would like to go to Wendy’s for lunch. Yes, she said, I would like to have lunch with Wendy. I told her that Wendy had a lot of restaurants and I couldn’t guarantee that Wendy would be there. We stood in line to order and when we got to the counter Aria stepped forward and asked if she could please see Wendy. The man behind the counter smiled. Then a lady behind the counter, who heard the request, stepped forward to save the day and said that she was Wendy. Aria was thrilled. And the funny thing was that Wendy was really her name. She couldn’t have been nicer. Came over to check on us during lunch and brought Aria a chocolate milk. I think every Wendy’s should have a Wendy. Could be a great commercial. I went to your brantford location near fairview. I tried to use the drive thru. I have juvenile diabetes which is a diability that requires me to know the carb amounts of the food is eat to be able to dose the correct amount of insulin. I ordered a home style chicken sandwich and asked for your nutrition facts sheet. I was told to look it up on the Internet or I could come in the store and look it up on the wall. Staff said they don’t have pamphlets and I don’t have data on my phone. When I go to McDonald’s or Tim Hortons they have nutrition pamphlets at the drive through. I take one and leave it in my vehicle for future reference. If you are serving food the customer should be able to access nutrition facts at all points of sale. Type 1 diabetics rely on this info to help deal with the disability that they neither choose to have or caused themselves. Food for thought Wendy’s. I was in the Barrie Maple view Wendy’s and it was a thick filthy mess. I used to work in one and what I saw was discussing. Garbage was piling under the food counters. Staff were sliding all over the floor visibly. Salt was piled up on the fry area and the fry guy wasn’t taking any care in the amount of salt he was dumping on the fries. The serving counter had slob food on it. There were tons of staff and two managers on that all this should clearly not have happened. I have been going to this Wendy’s since it opened and it is going down the tubes. To top it off when we opened our fries they had next to nothing in them. I really think this needs to go to head office because the management don’t care about the people of Barrie. Do you work at Wendy’s? Claim your listing for free! Qith a Company account you can to respond to reviews, update your profile and much more.